Entering Saturday’s home game, the Buffalo Bandits had a chance to grab a postseason berth a week before the end of the regular season. They needed to beat the Toronto Rock in the KeyBank Center, and then hope that New England lost to Rochester. Neither happened. And now the Bandits are in a fight for their playoff lives. 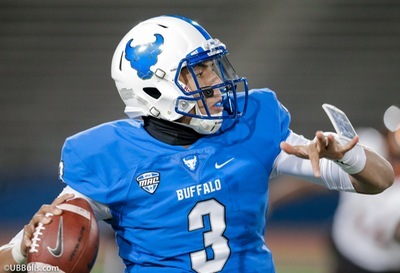 Buffalo didn’t fulfill its part of the bargain with a 16-11 loss to the Rock, which needed the victory to keep its own playoff hopes alive. New England, meanwhile, beat the Knighthawks. Therefore, it was a rather somber night in Banditland, who now have to face the possibility of missing the postseason for a second straight year. Some of the emotion from the game came from the situation, as all five NLL East teams are still fighting for three playoff slots. The rest of it came in the annual tribute to the late Tucker Williams, son of ex-Bandit Shawn who was saluted in the fifth annual Tucker Out Lymphoma Night. Buffalo showed that emotion at the start of the game, taking charge right from the opening faceoff. The Bandits scored the first two goals of the game, hit the post on two other shots. A lead of 4-0 or 5-0 might have been a difference-maker. Instead, the Rock got right back in the game with a four-goal run of its own. From that point on, the Bandits were in a dogfight. The Bandits didn’t lead in the rest of the game, but they did tie the game at 8-8 early in the third quarter. The key moment came in the final five minutes of the third period. Latrell Harris had picked up a five-minute major penalty, giving Buffalo a huge chance to erase an 11-8 lead by Toronto. Jones got the Bandits within two a mere 42 seconds into the penalty. However, it was the Rock that did the scoring in the remainder of the period, putting up two short-handed goals. When the period finished 13-9 for Toronto, the Bandits’ task seemed to have grown much bigger. Transition goals were a problem for the Bandits throughout the game, as Toronto got odd-man rushes early in possessions. It was a problem for Buffalo last week against Calgary as well. “The offense is not getting off the floor fast enough,” Cordingley said. Jones and Shawn Evans finished with three goals for Buffalo, while Dhane Smith had five points. Adam Jones of the Rock, the former Canisius standout, had three goals and two assists. Toronto finished with a 64-46 edge in shots. Let’s, then, look at the NLL East race with a week to go. Georgia, which had the week off, moved into first place at 9-7. Rochester fell to 9-8, New England moved to 9-8, and Buffalo and Toronto are both 8-9. On Saturday, the Bandits host Rochester, Toronto is at Colorado, Vancouver is at Georgia. Then on Sunday, Georgia goes to New England. In other words, a Buffalo loss would leave it at 8-10 and behind at least three teams – so it would be out of the playoffs for a second straight year. A Bandits win would leave it to a complicated set of tiebreakers. So the playoffs essentially start a week early.